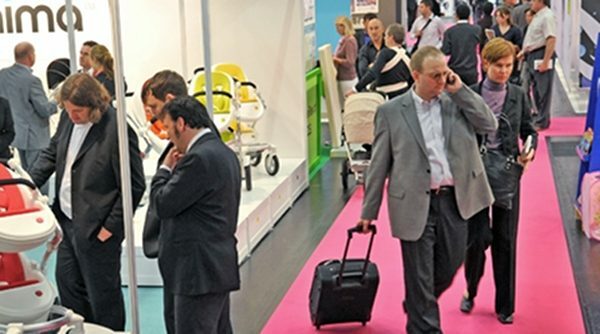 The most prestigious children’s products trade show in the world housed the biggest innovations in baby transport of recent times. 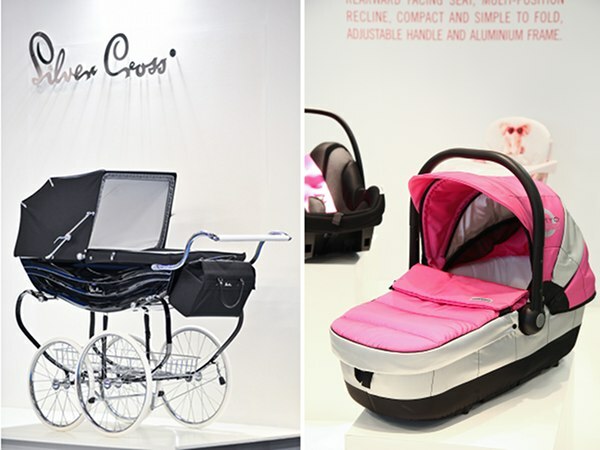 We bring you the best pram releases from the Kind + Jugend trade show. Oh to be standing next to that glorious carousel of three Bugaboo Donkey prams! Yep, you’re seeing three of the possible configurations offered by the Donkey. 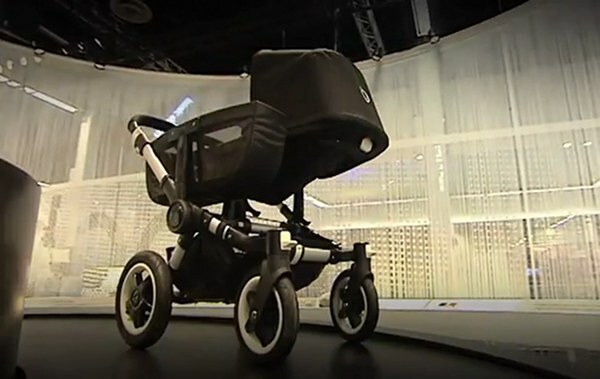 You will also be able to attach a car capsule such a new Maxi Cosi Mico, which will be released here next month, plus it will also retract to a single pram with the usual storage, just like the Cameleon. With the official launch of the Mima Kobi just weeks away, it was vital to have a strong presence at Kind + Jugend this year. Mima is poised to take on the double pram world with finesse with its pod-like Kobi which accommodates two babies or toddlers. We’ve heard an Australian distributor has been secured for this beauty, so stay tuned for more news about its release here. 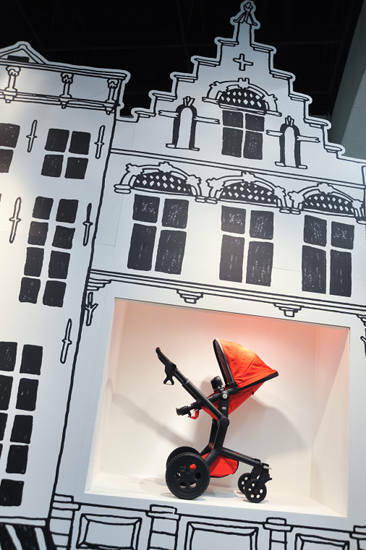 The Recaro Babyzen one-hand foldable pram (see video above) received big accolades at Kind + Jugend 2010, taking out the innovation award in the category of “World of moving baby”. The pram has a warning light at the end of the footrest, much like the safety lights we see on bicycles. I imagine this would come in handy on evening walks and during those dark northern hemisphere winters. 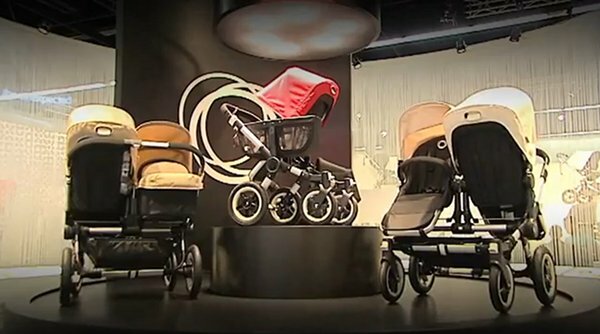 We’re loving these black-framed strollers from Cybex which also makes car seats for the European and US markets. These are from the Gem Collection in Onyx black. A stunning capsule – the Aton – will be released in the next northern autumn. 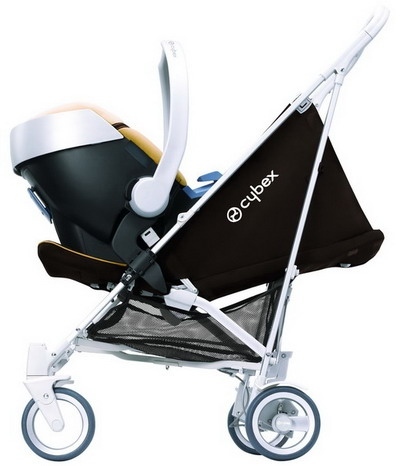 See it below on the Cybex Callisto pram. Well lookie here; it’s a black-framed Joolz Bloom. This brand has been rather quiet in the Australian market. Perhaps we’ll see a comeback? 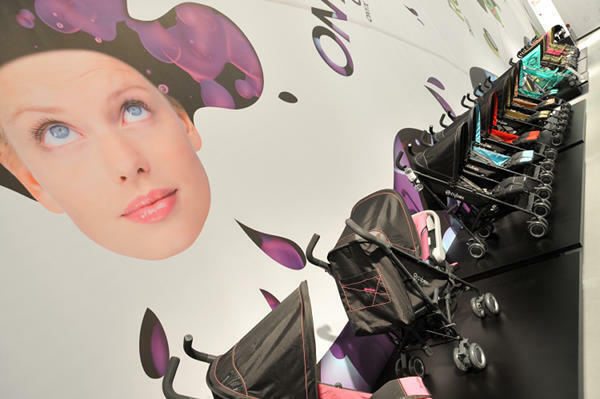 It seems black frames are the in-thing in prams lately. Be still my beating heart! 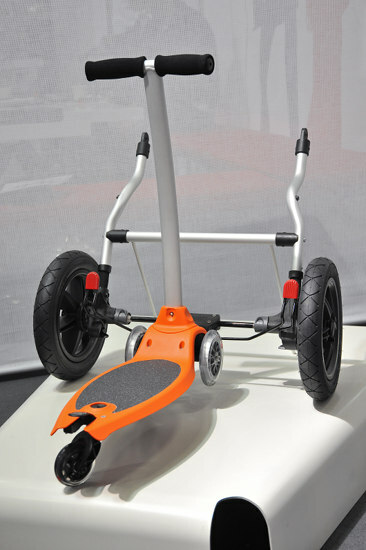 No it’s not a pram, but it is a scooter which attaches to a Mountain Buggy, much like the buggy boards we all know and love. This is just such a great idea! It looks a little like the Mini Micro scooter my youngest loves so much. Here’s the inimitable Silver Cross Balmoral (left) and MYO (right), a brand we haven’t heard of before and on which there is very little information. Stick around for our final instalment from the Kind + Jugend trade show in Germany!